Congratulations on deciding to add a new member to your family! 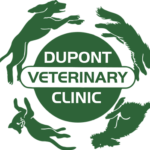 The staff at Dupont Veterinary Clinic knows how daunting the process can be getting prepared for the new companion. We have compiled a list of helpful links to help you get ready. Just remember, the key to success is preparation and patience. Checklist for Adopting a New Dog – Petfinder.com offers up a great checklist to prepare yourself before bring your furry friend home. 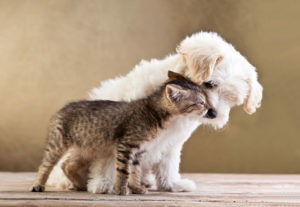 The First 30 Days – Another great article from Petfinder.com that gives you tips and hints for that incredibly important first month. Bringing Your New Dog Home – The Humane Society of America gives wonderful advice on preparation and tips to keep your new friend happy. The First 30 Days – Petfinder.com once again gives great advice on what to focus on during the first 30 days post-adoption. Bringing Your New Cat Home – The Humane Society of America gives great advice when adopting a new cat. Adopting vs. Buying – Petfinder.com gives you the facts when it comes to breeders, pet stores, and adoption agencies. Top Reasons to Adopt a Pet – The Humane Society of America makes the case for adopting pet instead of buying.